Super Cool Mix is a high specification, concentrated cool mix, formulated to deliver advanced nutrition for your horse or pony. 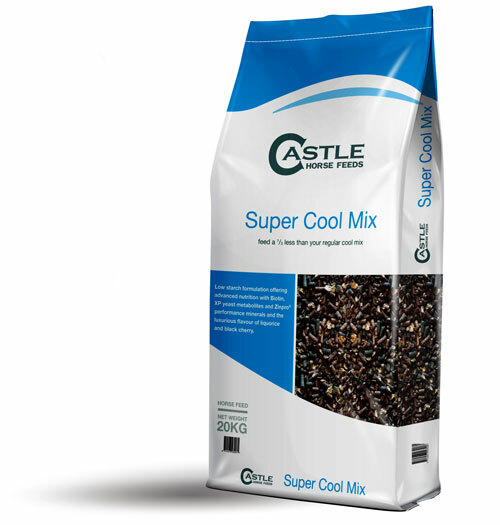 Uniquely designed to be fed at a third less than a regular cool mix, Super Cool Mix is suitable for all horses and ponies in light to medium work. Oat Feed, Grass Pellets, Micronised Flaked Barley, Molasses, Micronised Flaked Peas, Micronised Flaked Maize, Wheat Feed, Vitamins & Minerals, Full Fat Linseed meal, Black Fruits Flavour, Hipro Soya Meal, XP Yeast, Hipro Sunflower Extract, Soya Oil. 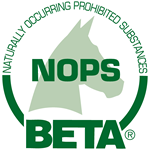 Feeding Rate: 200 -400 gm per 100Kg of horse’s weight, depending on condition and work done.